An ICANN Independent Review Panel has issued a decision [PDF, 7.80 MB] that ICANN should hold off from further processing of ZA Central Registry's (ZACR) application for the .AFRICA top-level domain (TLD) for the time being. This will allow the Panel time to consider arguments from DotConnectAfrica Trust (DCA Trust) and ICANN on DCA Trust's claims regarding the .AFRICA TLD. The interim relief granted today is not a ruling on the merits of DCA Trust's claims against ICANN, nor can it be used to forecast the success of DCA Trust's claims. DCA Trust initiated its Independent Review Process (IRP) after its application for the .AFRICA string was not approved by ICANN. The DCA Trust/ICANN IRP will continue along the defined process. Documents related to the IRP are available at http://www.icann.org/en/news/irp/dca-v-icann. The IRP is one of the accountability review processes set out in the ICANN Bylaws. 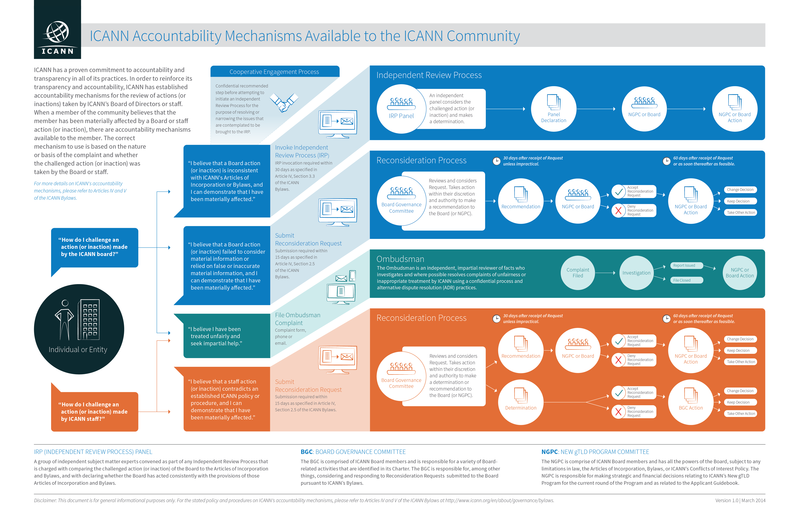 For an understanding of how ICANN's accountability review processes work, including the IRP, please view the infographic.